THE BRITISH RAILWAY STORIES LTD: "60163 Tornado in Express Passenger Blue - Dream come true!" 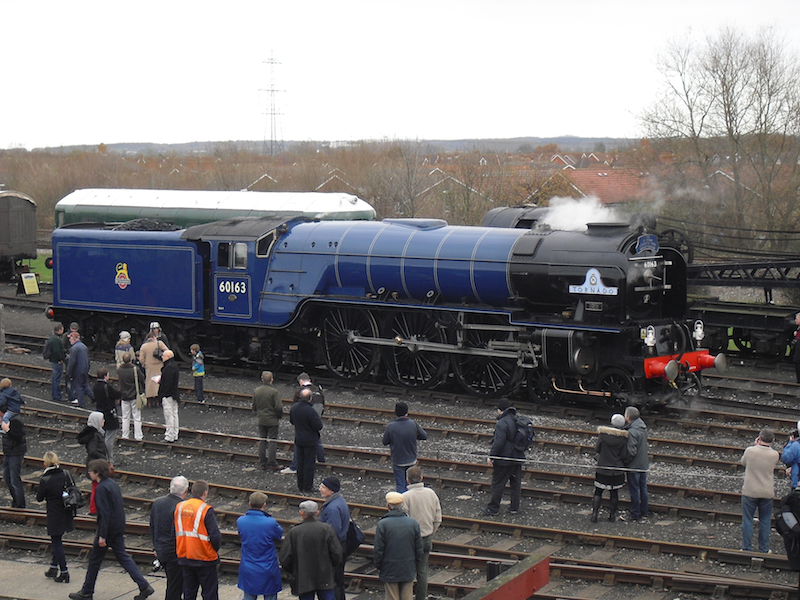 "60163 Tornado in Express Passenger Blue - Dream come true!" I have waited a lifetime for this moment. Reading the magazines my late grandfather would pass to me after he'd finished with them - the original "Communication Chords" for A1 Trust covenators. 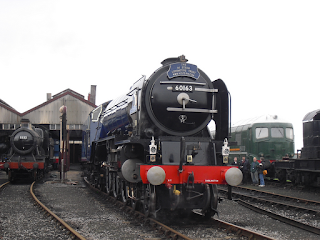 Reading every single article in the railway press, longing for the day that Tornado would be finished, and that she'd match the model of no.60130 which to this day still sits in the cabinet above my desk. 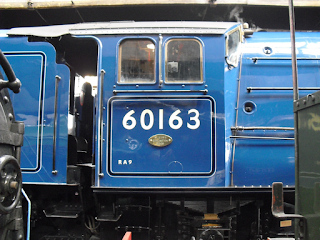 The stunning livery of British Railways Express Passenger blue. Much maligned, but god did it suit these machines. 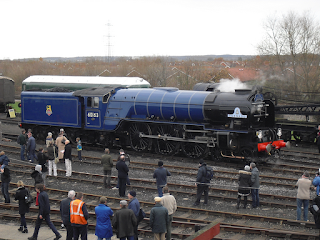 Today, I finally experienced it in the flesh, on a Peppercorn A1. 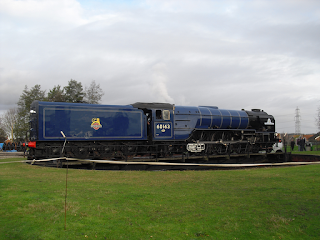 I don't remember feeling quite this humbled by any sight in railway preservation; not seeing Bittern at speed on the mainline in garter blue, not travelling behind the broad gauge Firefly, not even when I first caught my glimpses of Tornado from behind the fence in Darlington, and then Loughborough, four years ago. Yet somehow, SOMEHOW, there was still a little blue tank engine sitting somewhere, not wishing to be overlooked by the big blue engine next to him, all over again! The irony is not lost on me. I found Tornado in the shed at Didcot this morning, being cleaned by an army of people. 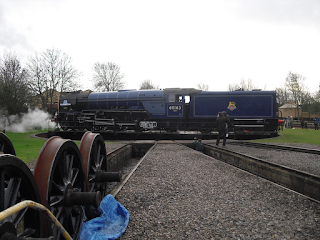 A1 Trust and Didcot volunteers, feverishly getting her ready for her big day. 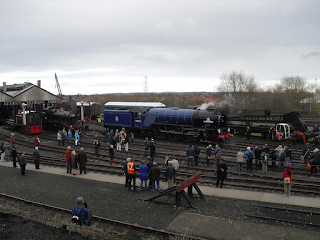 May I say a big thank you to everyone involved today for their efforts in getting her ready. She looked amazing. 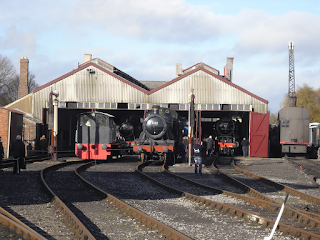 From inside the shed, you could only get glimpses of certain bits of the whole, but it was enough to turn me into my seven year old self all over again! Grinning like mad, and chatting to anyone and everyone around. In some respects, I was making up for that very empty void in my life, where my grandfather used to be. His favourite locomotive was 60130 Kestrel, and this was the livery he wanted to see Tornado in, to match her. Today I was able to witness that very livery change for the first time, but he can never see it. I can only hope he's looking down and smiling on us all. Sorry for turning this blog post a bit sombre, but in writing this I felt rather more subdued than I had done throughout the whole of today. 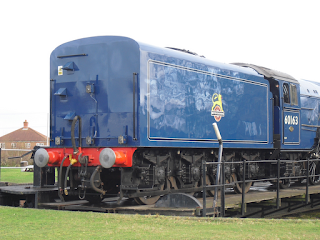 I am very much glad for this wonderful locomotive and the group that built and runs it; and soon, I hope to be able to support them better than I have done as a simple covenator (but more on that when all is agreed and signed off, and we are able to say more about it). 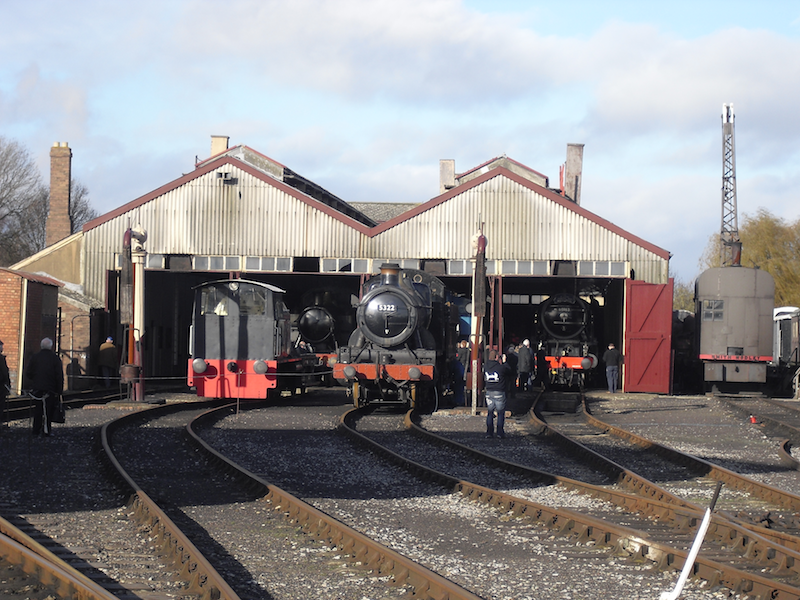 The only thing I was hoping for was the stovepipe chimney, but as the lovely Alexa Stott explained (and she is lovely - always make time in your visits to speak with her as she is a lovely lady to speak with; time for everyone) the stovepipe was proving problematic with the smoke deflection. Looking back at my photographs of 60163 in apple green, I can see what she means. It's not a big deal in any way shape or form; and frankly function must win over form here. She is a working engine and you have to keep things easiest for her crews. 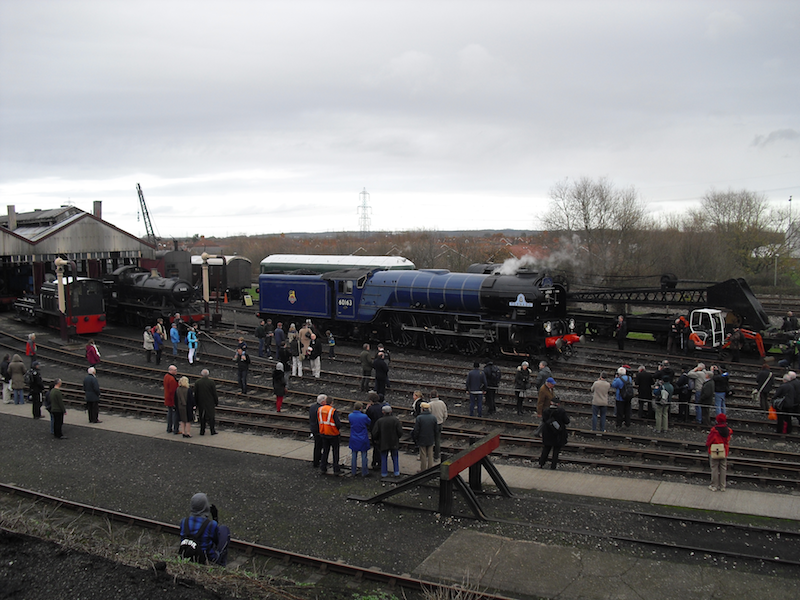 This photograph doesn't actually reflect how many people were there today, but I thought it was a great photograph in terms of showing how railway preservation used to be, up and down the country; people using their common sense around the railway and generally being very observant and respectful of the environment they were in. Here's the unsung hero of the piece! 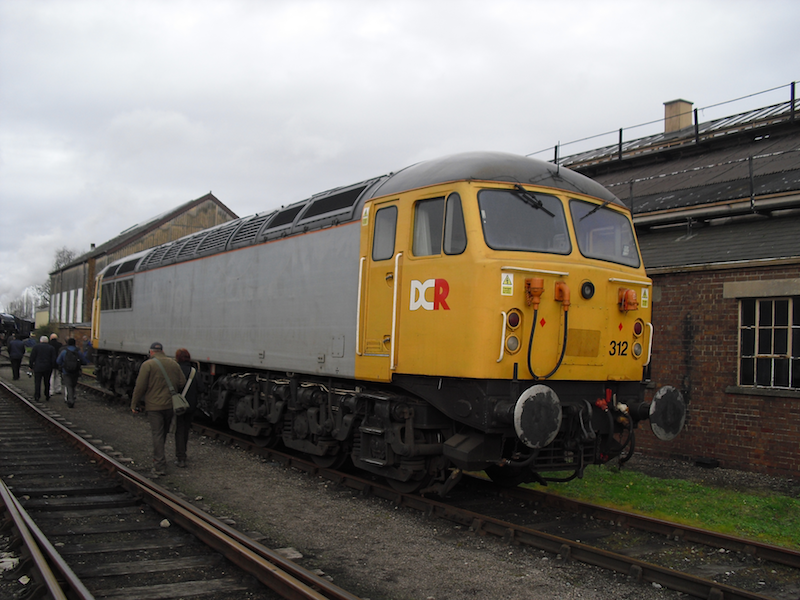 This class 56 brought Tornado down to Didcot. 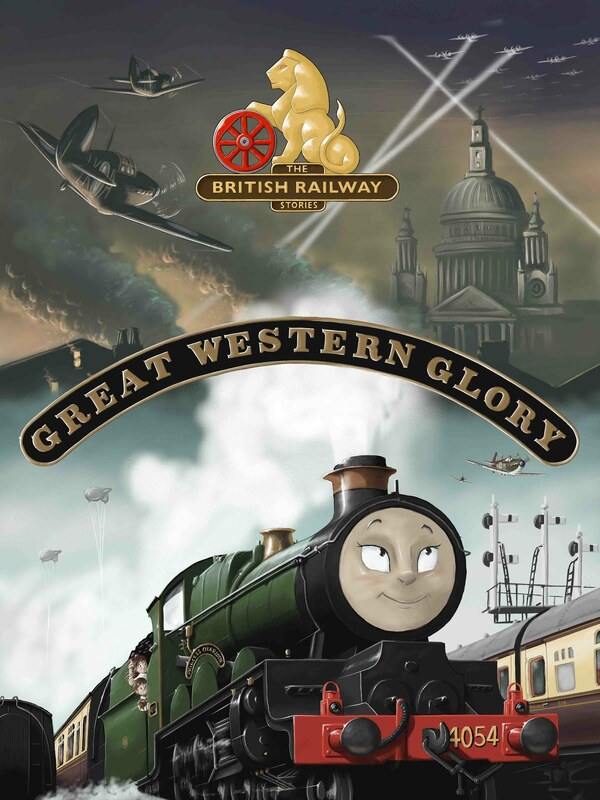 From what I hear, it really was touch and go for a while, so please remember to say a big thank you to all of the A1 Team, Didcot, and the numerous other people involved in making this day happen. Yours truly forgot to get in the covenator's photograph until the last moment - he was too busy chatting to a trust member! Ian Matthews and his team have done a magnificent job on Tornado. The blue is exquisite in colour, the lining out is perfect, and I am so very, VERY glad they lined out the cylinders. It's not technically correct - none of the A1s actually had it - but I think it perfects the livery on the locomotive. After all, the A3s and the lone Thompson A1/1 were given it! Here's a "tender" moment (aha). No, sorry, that was terrible. I can hear the groans! Moving on. There's only three locomotives in preservation currently wearing the express passenger blue: Tornado, Sir Nigel Gresley, and King Edward II. All look amazing in this much underrated livery. I can only hope that Tornado holds onto hers for a good year or two. I think we're going to have a lot of fun meeting up with the A4 and the King in years to come! How about it chaps? 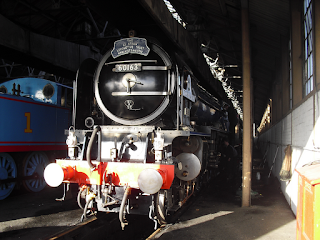 A1, A4 and King all in blue at the GCR for 2013?! And on that bombshell, thank you for reading. Good night! My word, she looks stunning! This is quite possible my favorite livery she's carried! I loved seeing your pictures! I hope I can see her in person one day! Wow! This all means a lot to you! I really admire that! 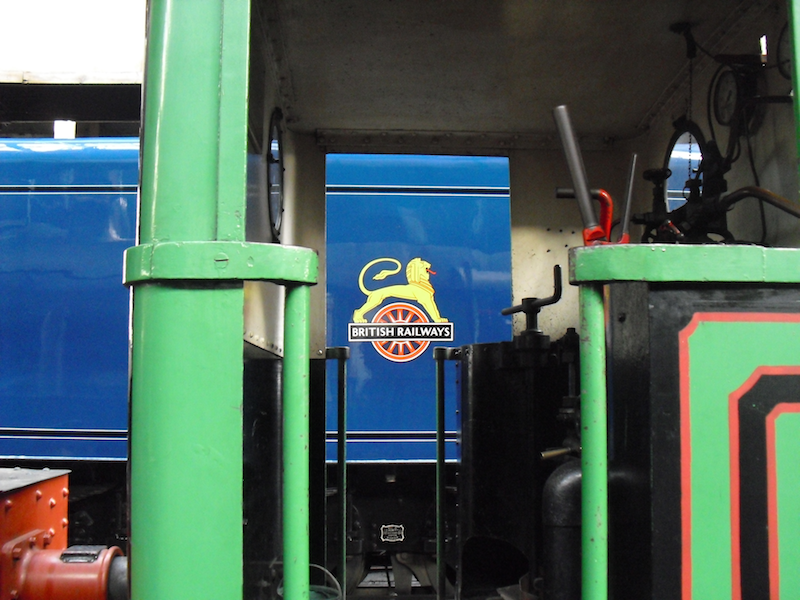 No know really takes my passion for a specific locomotive seriously, it gets quite annoying! I wish I was in the UK so I could see her! Blue obviosly means a lot to some people,but the subject is very contraversal and subjective. 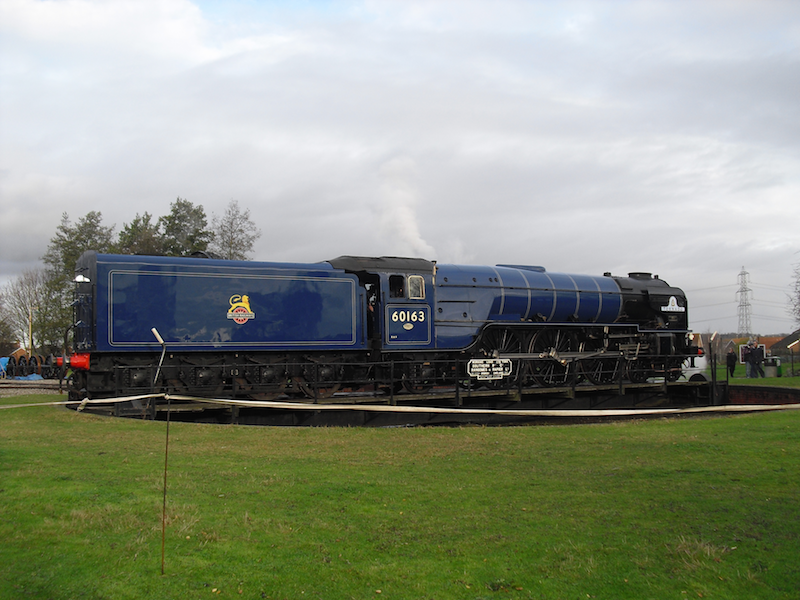 I have always thought blue is one of the worst colours foe a railway vehicle.It generally weathers badly and is very cold.The possible excetions were the original L.M.R. electrics and the blue pullmans which had a lighter shade. There is only one colour ,in my view, for an express loco and that is Brunswick (or G.W.R.) Green and I have never been a G.W.R. supporter .There is one possible exception that of the crimson lake that the L.M.S. (R) used. 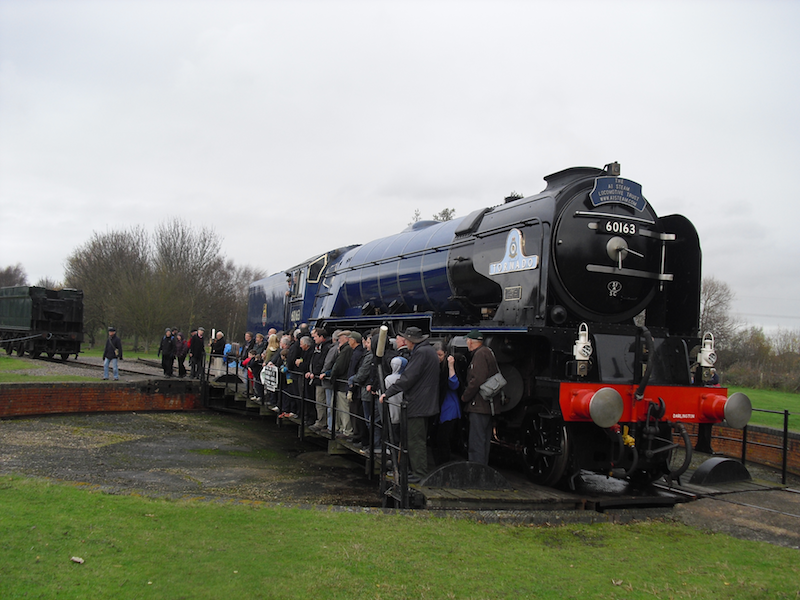 Obviously being an LNER man through and through, I have to agree to disagree on the colour of an express steam locomotive. 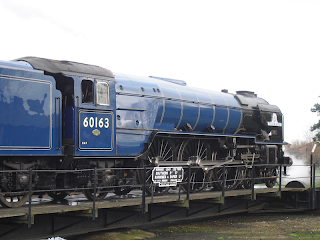 The express blue livery is my favourite of the lot; however it should also be noted that the LNER's apple green suited their Pacifics much more than the BR dark green did. 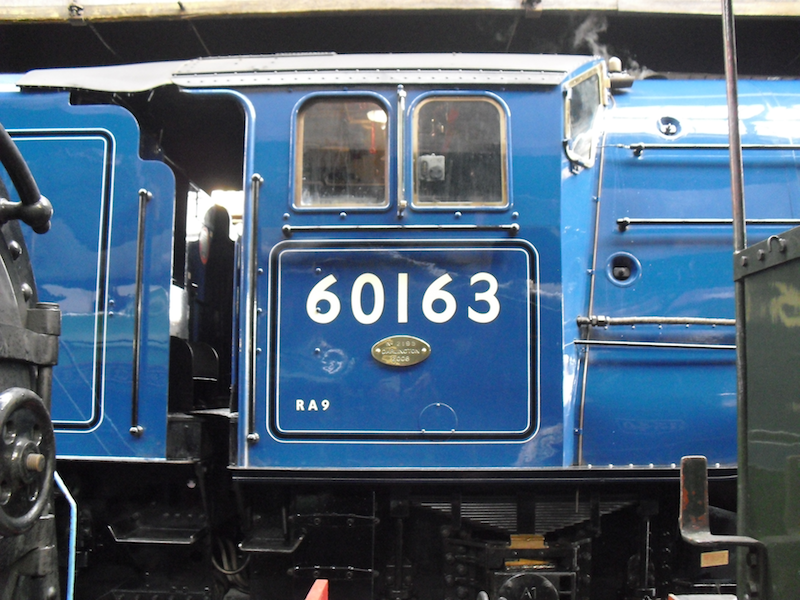 I think some of the most handsome liveries used by railways were blue though. 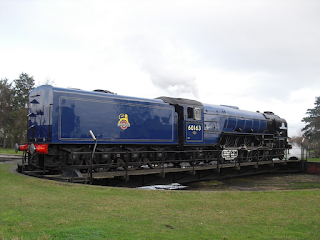 The A4's garter blue livery speaks for itself, as does the Claud Hamilton's Prussian blue livery.